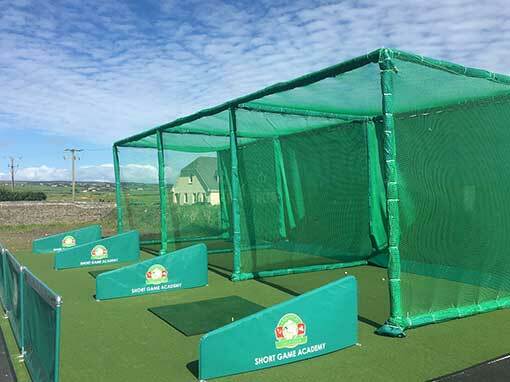 An outdoor triple bay golf hitting net enclosure. 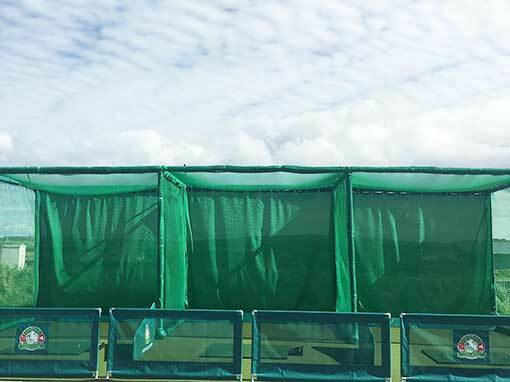 Consists of 3, 3m wide bays with either baffle or archery netting to hit into. 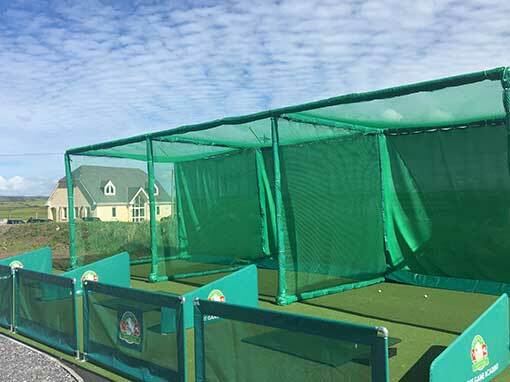 The triple bay outdoor golf hitting net enclosure consists of a galvanised steel frame with either archery netting or baffle nets to hit into. 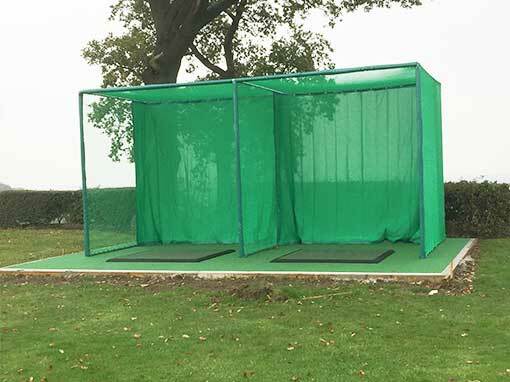 Archery netting is more expensive as it is more durable and will stop any golf ball travelling at 100mph. Standard size for a triple bay is 9m (w) x 3m (h) x 3m (d) , however we can manufacture and design to a range of different sizes to meet your requirements.